A recent website launch by Google and its subsidiary YouTube enabled interaction of the Taiwanese electorate on-line. It was initiated in preparation of the upcoming municipal elections in Taiwan and makes a significant contribution to the improvement of political discussion and participation. Search engine giant Google and its video-sharing subsidiary YouTube launched websites Friday [15 October 2010] for Taiwan's five upcoming special municipality elections, the companies' latest effort to highlight the Internet's role in modern political elections. 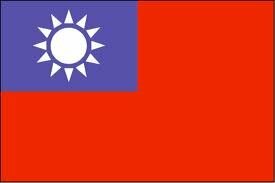 The Google website and YouTube channel dedicated to the November 27 elections in the special municipalities of Taipei, Xinbei, Taichung, Kaohsiung and Tainan were launched as "online platforms to help Taiwanese voters and candidates interact online, " said Google Taiwan general manager Chien Lee-feng in a statement. In addition to basic information on each municipality and its election, the website also presents each candidate with a Web page that compiles news stories, blog posts and information from social networking sites such as Facebook and Plurk. Internet users can also post messages on the page's chat board. A graphic on the municipality page shows how many times the two candidates were searched on the Internet during the day, a tool for voters to compare the candidates' popularity. The YouTube channel allows users to upload videos to voice their opinions and questions for candidates. Google and YouTube have previously launched websites for political elections in various countries, including Australia, Japan, the United Kingdom and the United States. U.S. President Barack Obama became the first U.S. presidential candidate to successfully utilize the Internet and social networking sites to interact with voters during his 2008 presidential campaign, Google Taiwan associate marketing director Richard Li said. He added that the Internet has now also become an important aspect of political campaigns in Taiwan.